The Preservation Hall Jazz Band's sousaphone was stolen in February after a performance, but with the help of an anonymous tipster the instrument and band have been reunited. Now, a little more than two weeks after the band announced the iconic sousaphone was stolen, the fundamental instrument is back in the group's possession. Jaffe says the instrument went missing just after a performance at the Music Box, a venue in the city. 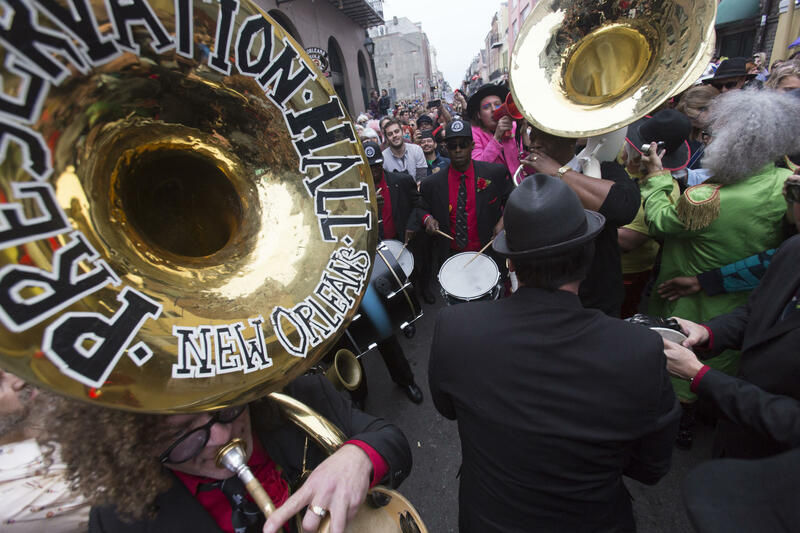 "We were packing up our vehicle, it was late at night, and I guess none of us were really paying close attention, but somewhere during this span of 45 minutes the Preservation Hall tuba disappeared," he says. When they realized it was missing they searched all the obvious places, but couldn't find it, so they decided to reach out to the community for help — and it worked. "Someone who had read the newspaper spotted the horn and contacted us anonymously and through that tip we were able to retrieve the instrument," Jaffe says. Like with many musicians, Jaffe's horn has special meaning to him. "I purchased my horn shortly after Hurricane Katrina," Jaffe says. "I lost my instruments in Hurricane Katrina 12 years ago." After that Jaffe says the tuba "just became a part of me." "It's traveled the world several times with me. It's played on all of our recordings. It's been on all of our concerts," he says. "Every little nick and ding on that horn has a story behind it from a different place in the world, a different memory." The Preservation Hall tuba was returned on Monday. "I spent the day cleaning the horn and getting the valves working again," Jaffe says. "There was some damage to the valves and there was some damage that I'm going to have to ship the horn to a specialist to have it overhauled, but I got the horn into playing condition." 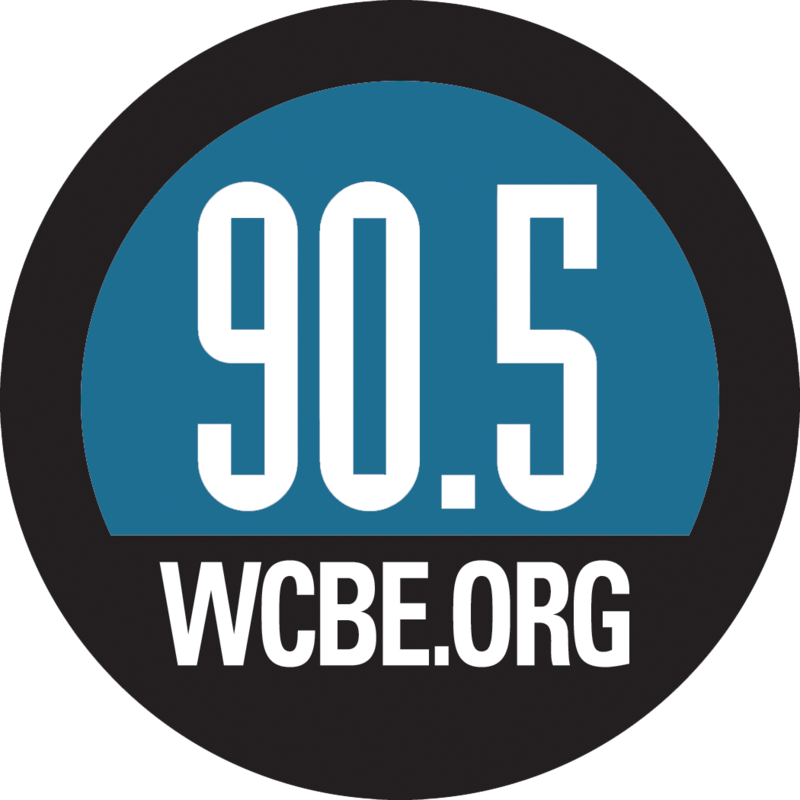 Selena Simmons-Duffin and Matt Ozug of All Things Considered produced and edited the audio for this story. And now a true crime story that involves a theft, an anonymous tip and a very special tuba. SHAPIRO: That is the missing tuba - a sousaphone, to be exact. Here's its owner to tell us about his instrument, how he lost it and got it back again. BEN JAFFE: My name is Ben Jaffe, and I'm the tuba player with the Preservation Hall Jazz Band. And two weeks ago, my sousaphone tuba went missing after one of our shows in New Orleans. JAFFE: If you're trying to identify the sound, you listen to the low end. You listen for the bass. You listen for the bottom. JAFFE: You wear it around your neck almost like a gigantic necklace, and it has a bell that comes up over your head. JAFFE: I purchased my horn shortly after Hurricane Katrina. I lost my instruments in Hurricane Katrina. It just has become a part of me. It's traveled the world several times with me. It's - I mean, every little nick and ding on that horn has a story behind it. JAFFE: When we realize the horn was missing, we began, you know, searching all of the obvious places that we thought it could be. We went back to the venue that we played at, and we double-checked there. And then there is this sinking feeling that it's gone. JAFFE: That's when we got the word out and started working through social media to get, you know, the whole community motivated to locate the instrument. And ultimately it worked. Someone who had read the newspaper spotted the horn and contacted us anonymously. And through that tip, we were able to retrieve the instrument. UNIDENTIFIED MAN #1: Yeah, look out now. UNIDENTIFIED MAN #2: All right. JAFFE: Keep your head up. I just got the horn back yesterday. I spent the day cleaning the horn and getting the valves working again. There was some damage to the valves. I'm going to have to ship the horn to a specialist to have it overhauled. But I was just so excited to have my horn back that even though it's damaged, I'm just going to - I'm going to play it anyway. All right, so I've got my tuba right here. Let me play it for you. SHAPIRO: That's Ben Jaffe, the tuba player for the Preservation Hall Jazz Band in New Orleans. We caught up with him in Austin, Texas. The band is debuting a new documentary called "A Tuba To Cuba" at the South by Southwest Music Festival. JAFFE: Yeah. Transcript provided by NPR, Copyright NPR.